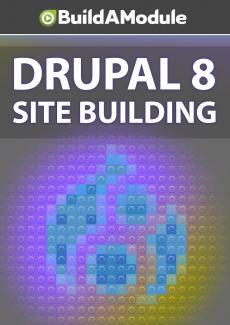 In Drupal, nearly everything you see on a page is either a block contained in a region. Here we talk a bit about how blocks work, how you can configure and move blocks, and how you can see which blocks are in which regions of a page. First, let's tackle hiding the "powered by Drupal" block. The quickest way to hide this is to go back to a page where the block is showing, hover over the block, and click the quick edit link here and select Configure block. We can then scroll down to the bottom and click delete. We can also select under Region None. And this will keep the block around, but hide it from any Region. So there's a couple of new concepts in here. One is the idea of a block. The second is the idea of a region. Since we used the quick edit link, we went straight to the block configuration, and bypassed the block layout configuration. Let's take a look at that page. I'm going to go to Structure and Block Layout. So the first thing to understand is the idea of Regions.